Local, sustainable, traditional & slow body care. Sound appealing? We think so too. We'll be the first to tell you that ASC products aren't the only thing we use. But we're certainly picky about what we use on our bodies around here, so when we find a product that's up to our standards, we're thrilled to share it with you. Meet Summer Solace Tallow, a line of ethical, sustainable, deeply nourishing, and organic tallow-based skin care and home goods, established in May 2014 by Megan Bre Camp. Tallow is a truly traditional form of body care. Our ancestors used grass-fed animal fats not only in their diets, but also topically to protect against the elements and heal from environmental stressors. Tallow was commonly used as a sustainable and regenerating skin protectant before the introduction of petrochemicals. Megan obtains grass-fed beef suet from local family farms, which she renders into buttery tallow, that is then combined with an award-winning California olive oil grown by a Native American Tribe. This combination becomes the nourishing and soothing base for her products. She leverages incredible and unique local ingredients from the area, like burr-ground single origin coffee from San Francisco, bladderwrack seaweed harvested after a full moon from Mendocino, activated charcoal from coconut shells from Hawaii, and lavender that is grown in the fields of Sonoma, making each bar unique. I like to think that I am part of the ‘slow body care’ movement. Nose to tail. Know whom you are sourcing from. Choose natural over expediency. 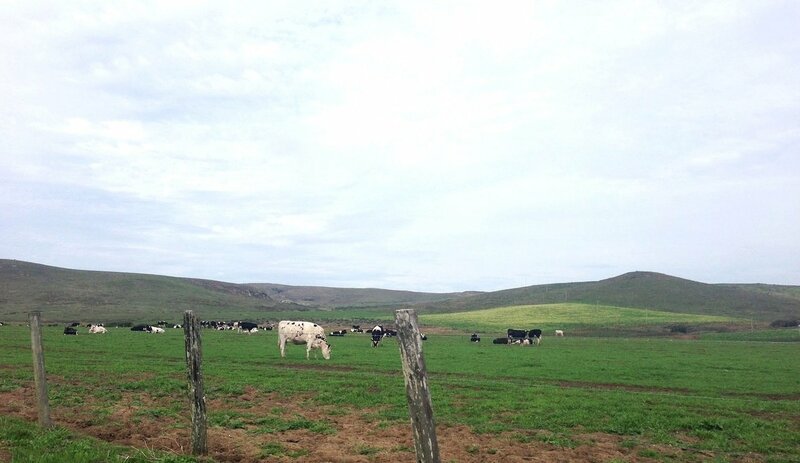 Both of the family-owned ranches that Megan works with are less than 150 miles from the San Francisco Bay Area. The local Extra Virgin Olive Oil they work with comes from Seka Hills, grown on Native American land by the Yocha Dehe Wintun Nation in Capay Valley, California. They also use the highest grade of organic, therapeutic-grade essential oils in their product line from the ecologically responsible Floracopeia of Grass Valley, California and wildcrafted Absolutes. What makes this magical tallow so special and different from other products on the market? A few key components have us falling in love. Tallow has long been consumed as cooking oil that is especially useful for high temperature cooking due to a high smoke-point. It is safe to eat, delicious and therefore safe to put on the body. Summer Solace tallow is derived from local, pastured, 100% grass-fed cows to avoid contamination with pesticides and chemicals. Like coconut oil, tallow has a very beneficial fatty acid profile, with 50-55% stable saturated fats. This means that it is stable and does not readily go rancid. The beneficial nutrients can easily be preserved without refrigeration for extended periods of time. Their tallow from properly treated grass-fed cows is especially rich with nutrients that plant-based oils simply do not posses. Tallow contains a harmonious balance of fat-soluble vitamins A, D, E, and K in a balanced combination with their activators. It also has an abundance of conjugated linoleic acid (CLA), which has been shown to have anti-inflammatory effects, and palmitoleic acid, which has antimicrobial characteristics. When you apply Summer Solace tallow balm on your body you will notice that it leaves your skin feeling smooth without a greasy residue as with some body butters. Some experts hypothesize that this is due to the similarities in the fatty acid profiles of tallow to human cell membrane and sebum (the waxy substance naturally secreted by your sebaceous glands to lubricate, waterproof and protect the skin. ) In Latin, “sebum” actually translates to tallow or lard. We're so excited about this product, that we're sharing some with you. 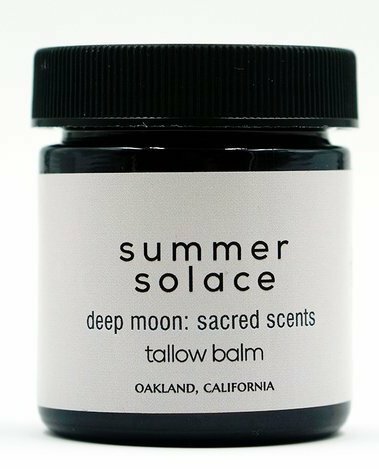 While supplies last, Summer Solace Tallow is including a free Cardamom and Wild Orange Tallow Lip Balm with every order. Simply add the Cardamom and Wild Orange Tallow Lip Balm to your cart, and use the code WEHEART when you place an order from their site. Shop here! Have you used tallow in your skin care before? Share your experience in the comments! I’m glad to find Summer Solace again! Their tallow is my favorite because it’s smooth and not gritty. I bought tallow, lip balm, and a candle at a street fair in Portland 3 or 4 years ago. I made them all last a long time, and have been meaning to figure out how to reorder. I especially liked the lip balm because it had the perfect consistency.